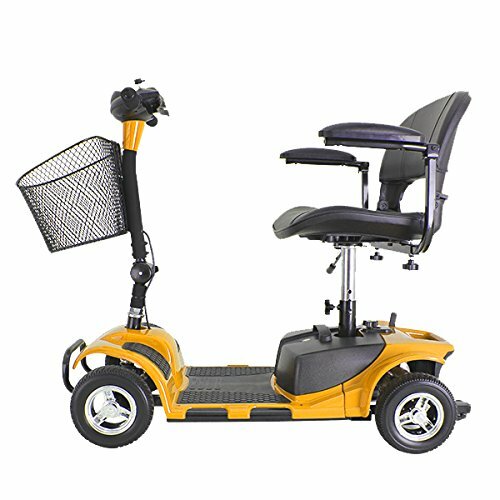 Comfy Go transportable scooter combines convenient mobility with superior value in a colorful exterior. Comfy Go is compact, lightweight, and easy to disassemble into five manageable pieces, making it ideal for both daily use and travel that requires vehicle transportation. 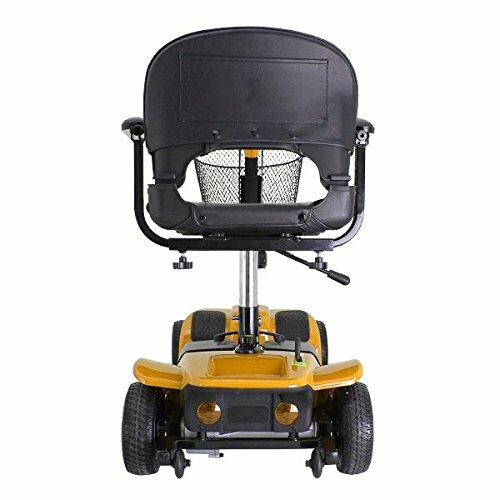 The four-wheel Comfy Go offers enhanced stability on rougher outdoor terrain. 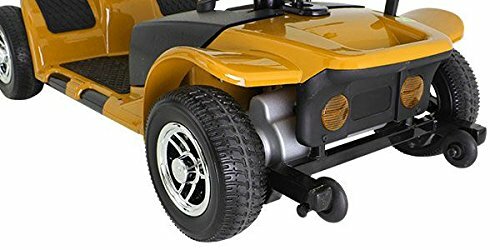 A technologically advanced quick-connect battery pack and a steering handle make operating the scooter effortless, even with limited strength or dexterity. 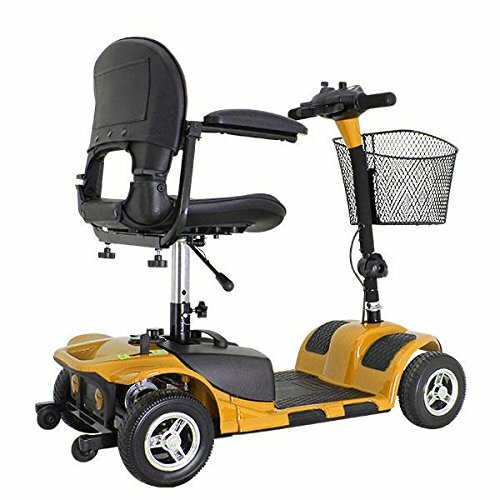 Equipped with non-marking, anti-tip wheels, and interchangeable red and blue color panels Comfort maximized with adjustable padded swivel seat, backrest, and armrests. 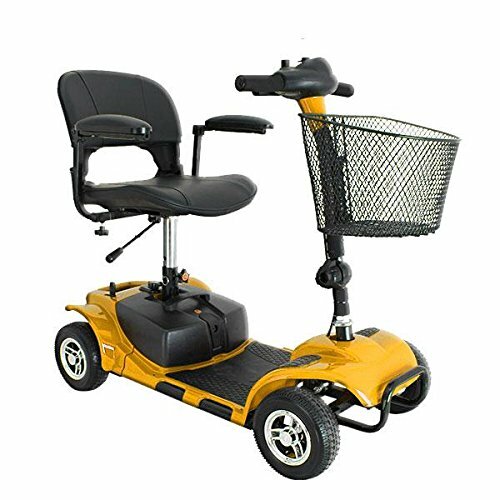 Lightweight, easy-to-disassemble powered scooter provides stability on rough outdoor terrain. 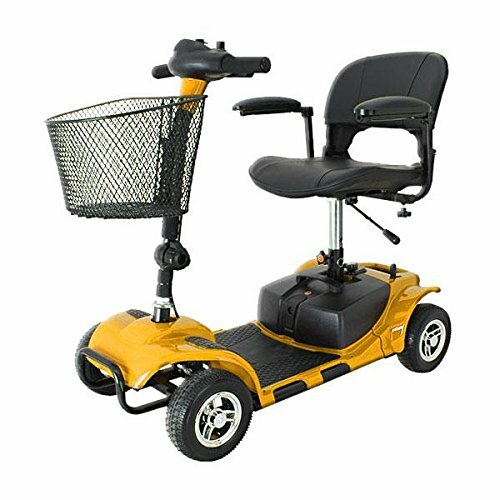 2 Years Warranty; Seat Width: 17 inch; Max Speed: 4.5 mph; Climbing Angle: 6 degrees; Maximum Range: 18 miles; Motor: 24V x 180W x 4700rpm; Turning Radius: 47.24 inch; Ground Clearance: 2.5 inch; Weight Capacity: 300 lbs.